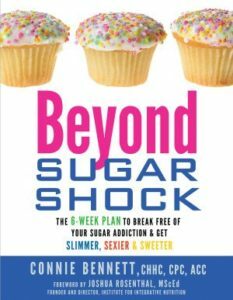 Sugar Shock author Connie Bennett's BEYOND SUGAR SHOCK: The 6-Week Plan to Break Free of Your Sugar Addiction & Get a Slimmer, Sexier & Sweeter Life, to Patricia Gift at Hay House, for publication in Winter 2012, by Wendy Sherman (world). It bears repeating that I'm really honored, grateful and thrilled to be with the amazing Hay House, which can inspire you anytime, thanks to its amazing the amazing Hay House Radio and its Heal Your Life website. 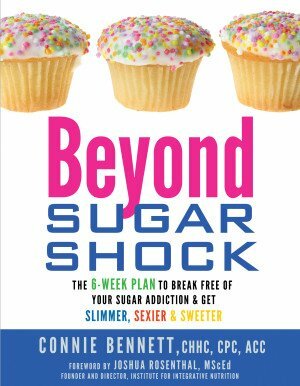 By the way, in The Beyond Sugar Shock Diet, you'll get a simple, fun, guided mind/body/spirit plan that gives you oodles of juicy, empowering, inspiring information, strategies and systems. 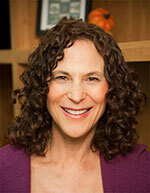 Learn here about how a tweeter named my book! If you haven't read my first book, Sugar Shock, yet, I invite you to get it now. 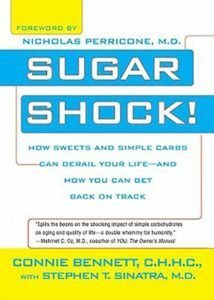 Tired of being controlled by your sugar habit? Join liberated (or soon-to-be-liberated) Movers & Shakers at www.Facebook.com/SmartHabitsFans. 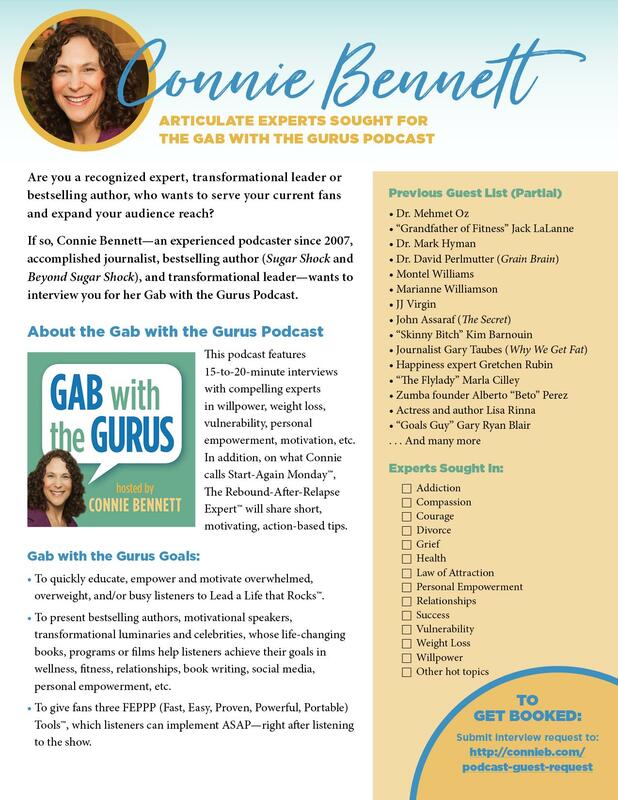 And get even more empowered on the Facebook page for Gab with the Gurus, which celebrates its 3rd anniversary in June 2011.
buy now Do your cravings make you frustrated, frazzled and overweight? buy now This fun, fascinating, science-based, Cravings-Crushing, Quick-Start Guide will click here whisk you away from temptation for sugary, salty, fatty junk non-foods and and into the glorious, delicious, liberating world of self-control. Categories: Announcements, Beyond Sugar Shock, Book Promoting & Marketing, Catching Up With Connie, Get Inspired, Goals & Dreams, Hay House, Hurrah for Hopeful News, In the News, Recommends, Sweet Stuff, Take Action! That is great news! Congratulations. Thanks so much for all the private emails, people! I appreciate it! Yes, I’m excited about this book!